One of the bennies of having a twin sister in the coffee industry is staying up-to-date on all of the new and improved ways of brewing the perfect cup of coffee. Two of her dear friends, Matt Higgins & Keith Gehrke, founded Coava Coffee Roastery and Brew Bar in Portland, OR. 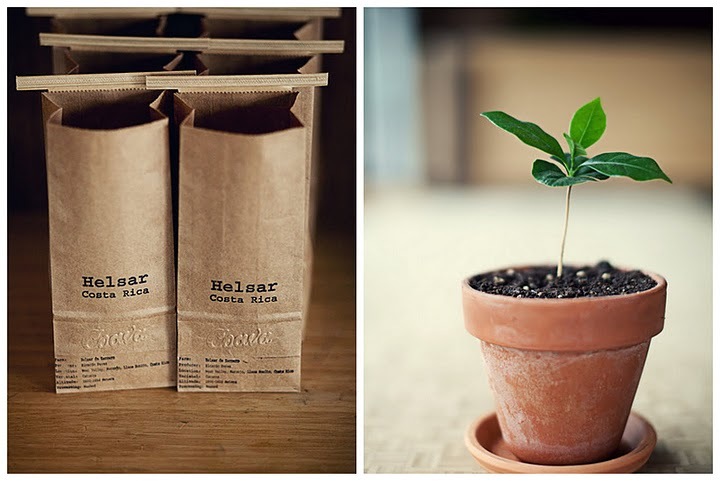 These guys focus on brewing single origin and small-batch-roasted coffee. WARNING: The interior of their digs will make you drool on your keyboard. Re-purposed drill press and bench saw tables? Yes, please! Matt and Keith roast their beans using a vintage 1983 Probat Roaster they restored themselves. 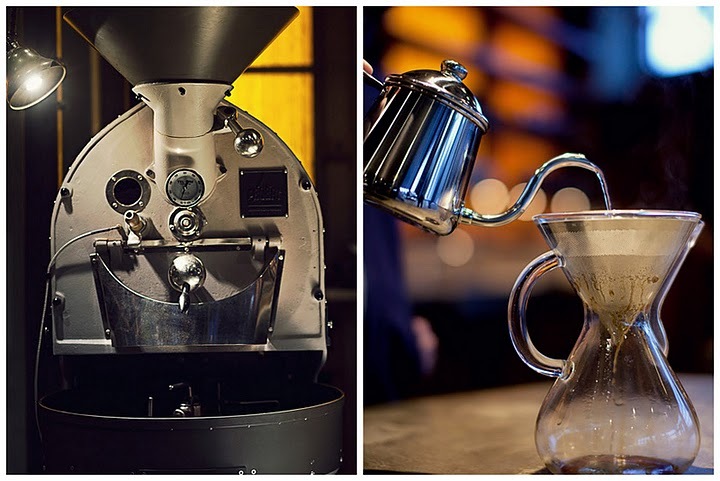 They also brew their coffee in a glass Chemex (available online for $36.50) while using a kettle similar to a Hario Buono Drip Kettle (available online for $56.00) which allows them to effectively control their pour. 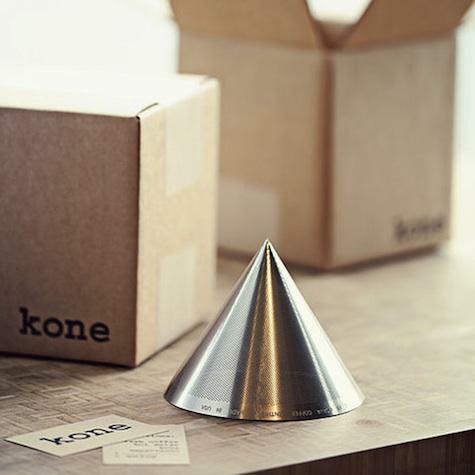 Perhaps the most unique piece of their brewing system is their recently invented sustainable and reusable filter called the Kone. 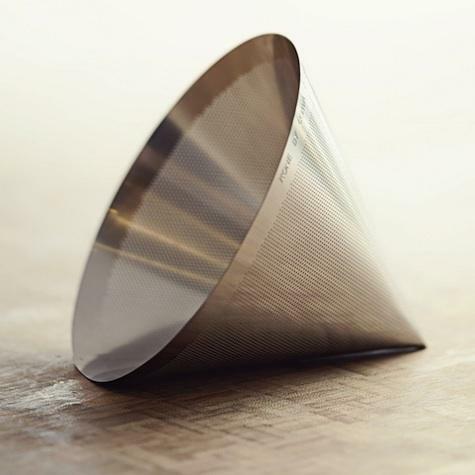 The Kone is a photochemically perforated steel funnel designed to completely eliminate the need for paper filters (which can often strip coffee of it's natural oils and flavor). Since July, the Kone has been featured in The New York Times, Gizmodo, The Fresh Cup Magazine, and several other reputable sources. In fact, Stumptown recently placed an order for 1,000 funnels to use in their coffee shops in Portland, Seattle, and New York. If you're looking for a new way to start brewing your morning coffee Team Loerke highly suggest investing in Chemex and a Kone. Since Christmas Tim has already gone through a box of Hario paper filters for his V60 Dripper priced at $10.30 a box. It's a no-brainer for us to start investing in something that offers better flavored coffee as well as cuts down on garbage. 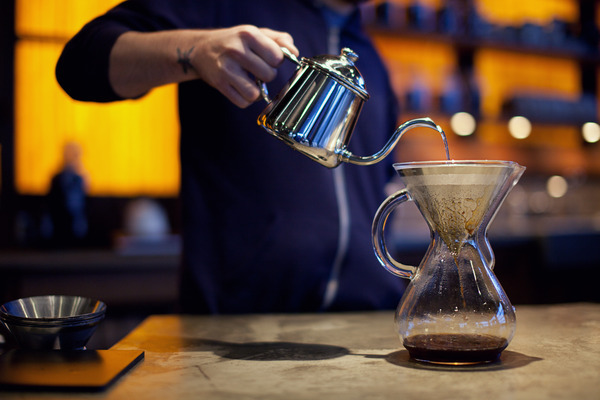 Check out this video if you're interested in learning more about how to brew coffee using a Chemex and the Kone. And if you live in the Portland area, be sure and stop by and say hello to our friend's Matt & Keith at Coava! I want all of that. My bank account may be a little lower by the end of today. Even though I got a new coffee maker and grinder for Christmas, I believe you can never have to much coffee stuff in a kitchen. Oooooh ah-mah-zing. Any idea how using a Chemex and Kone compares to using a French press? We have a Bodum 2-cup and 8-cup, and we use one of the two every. single. day. Maybe this is our next purchase in the quest for the perfect cup of coffee! We already ditched our Cuisinart Grind'n'Brew because every attempt we made tasted terrible. Um, this is uh-mazing, and even better? I'm only about 3 hours away from Portland :) Whoot! Hmm..might have to make a pit stop in Portland when we go through from Seattle to Springfield in March. :D Hubby's not a coffee fan but I sure am!!! And yes, that interior is drool-worthy. LOVE IT! In The Tweeds, I started using a cousin of the Chemex and Kone called the Hario V60. I also have a French press. This method completely blows the frenchpress out of the water! I seriously can't wait to get my hands on a Kone and buy all the gadgets that go with it. It brings coffee to a whole different level. The Chemex+Kone and the V60 are not necessarily better than a traditional French press, they're just different. The Chemex with the paper filter removes essentially all of the fine particles (fines) and most if not all oil from the coffee, resulting in a much lighter, brighter tasting coffee. This is good for some coffees and palates and bad for others. By comparison, the press pot allows considerable fines and oils through. Brewed correctly, the coffee is "stronger" this was due to higher concentration of solids, and can be exceptionally rich without being bitter. Press coffee has the technical advantage over pourover coffee of being a true full-immersion extraction technique: all of the coffee comes in full contact with water for the exact same amount of time, ensuring that the extraction is extremely even. By contrast, with pourovers it is very difficult to get an even extraction. The fines, however, continue to extract even after the coffee is poured, so press pot coffee definitely "goes bad" a lot quicker than pourover / filtered coffee. If you pour 24 oz of coffee in a Thermos and sip it throughout the day, skip the press pot. After an hour it will taste very bitter. The other problem with press coffee relates to the grinder you use. Press coffee is not forgiving of uneven grinding which you get from typical blade grinders or low-cost burr grinders. You need a consistent, coarse grind to get good results. At my shop in Dallas we serve press coffee as our house coffee instead of drip. People love it. We use pourover techniques during our slow hours for single-origin coffees where it is more important to really be able to distinguish the details of the fruity notes in the coffees. We store the press coffee in airpots as soon as its made. However we have to throw out old press coffee after 30-45 minutes because of the aging problem. I have tried innumerable ways to remove the fines thus prolonging the life of the stored press coffee, including a device that I may patent that removes the fines from the ground coffee as they leave the grinder. In the end, I found that the best tasting press coffee was the "unfiltered" one that has the fines and the oils and leaves the sludgy remnants in the cup. Yes, it's messier, leaves the unsightly remnants in the cup, and doesn't age well. But when it's fresh, it's simply the richest, best tasting "house" coffee we can make. Confession. Your sis is a hottie. Is she available? 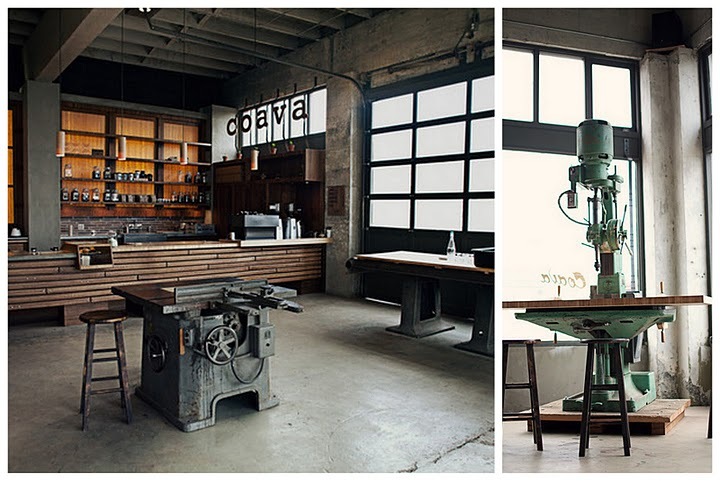 We may be in Portland this weekend, if so, we'll be sure to pay Coava a visit! I am moving in with some wonderful friends next year (callin our crib The Shire, thank you very much) and I told them we must improve our mornings with fresh, good coffee by the KONE. I'd say it's a terrific first investment for our pad. very cool. i'm a one cup dripper from way back. my red and brown filtropa cones are over 30 years old and are used at least once a day for me and the mrs. Thanks for introducing me to this place. Am going to check it out this weekend!! Wow! I think I need to make a trip to OR soon! Thanks to Rip Rowan for the awesome explanation!!! I think I like the press because it makes STRONG coffee. You're 100% right that it goes "bad" if you don't pour it all out of the press and drink it relatively soon. I often over-make and have to toss the leftovers because they're too particulated (I just made up that word). I still really want to try a Chemex & Kone or a Hario! Gosh I love coffee. My dad works in Portland so I will def check it out on our next daddy-daughter date!